Stir this up and then fold in as much bleu cheese as you can stand. When ready to assemble the salads, cut iceberg lettuce into wedges. 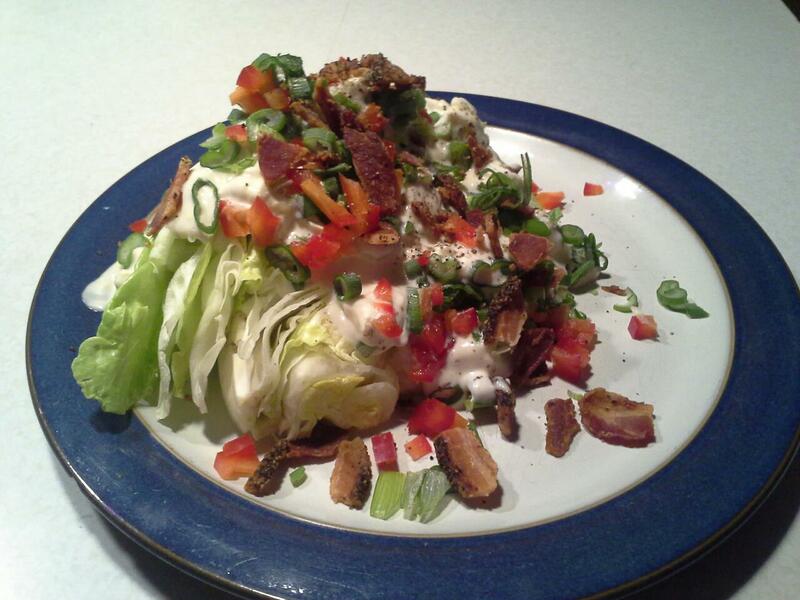 (I asked “how do you do that,” and John said “with a knife”) Scoop the dressing on the wedge, top with diced fresh tomato, sliced green onion, BACON. Now, since this is the first time I’ve actually written a recipe, I suppose there needs to be an ingredients list. I was just dictating what John was telling me. He didn’t give me amounts because he doesn’t keep track!